One of the most popular feed reader apps in Google Play is undeniably gReader. It has survive the demise of Google Reader and is now riding high with a new update to version 3.6. This is a big one too – it contains some solid improvements, fixes, and new features. If you've been using gReader on KitKat, maybe that text wrapping bullet point piqued your interest. Yes, that weird text thing should fixed now. Offline mode is a big deal too. You'll be able to save data on the device so you can use the app without a connection. The widgets are also much improved with configurable colors, opacity, fonts, and layouts. 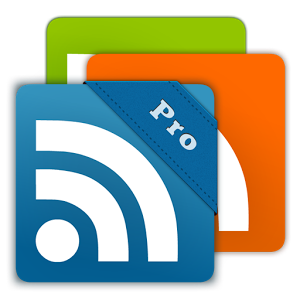 The basic features of gReader are available in the free version, but the Pro upgrade adds better widgets, podcasts, text-to-speech, and removes the ads.